Our cruise injury law firm has been representing the interests of maritime accident victims since 1971 and will protect your rights against negligent cruise ship companies. An accident can occur at a moment’s notice and victims may not always be able to seek the help they need. When dealing with an accident at sea, matters can become even more complicated. An injury that occurs on the high seas or while ashore at a port destination may not be easy to report and adequate medical assistance may not be available. At Lipcon, Margulies, Alsina & Winkleman, P.A., we know that a small injury from a cruise ship accident can quickly become tragic if the proper steps aren’t taken. We also know that many times, cruise ship personnel are directly responsible for these accidents. Our cruise injury lawyers understand the severity of an injury at sea and the unique intricacies of the law of the High Seas and will tirelessly defend your rights against negligent cruise line operators. An injury that results from a slip and fall, assault, sexual crime or even unsanitary conditions onboard a cruise ship must typically be filed in Federal Court in Miami, Florida, pursuant to the terms of the Passenger Ticket Contract. The maritime lawyers at our firm have defended victims involved in cruise ship accidents successfully for decades and understand all the ways in which cruise lines try to prevent victims from receiving the maximum compensation they deserve for their injuries and/or losses. Some victims never even file a lawsuit because they fear it will be pointless, especially since cruise lines try to impose stipulations for filing injury claims in their ticket contract. Our cruise injury lawyers do not let anything get in the way of protecting your rights. Our knowledge of maritime and admiralty law has taught us that in almost all cases involving cruise ship injuries, passengers and crewmembers that were hurt are entitled to money damages, medical care and lost wages. We work passionately to ensure that you and your loved ones receive these benefits and do not rest until the maximum recovery is attained. Following a cruise ship injury accident, victims may be left in pain and emotionally distraught. We understand how trying the aftermath of a cruise accident can be and always strive to give you the personal attention your case needs and deserves, always making ourselves available to provide legal advice and support. Our cruise ship injury lawyers do not provide anything less than superior, aggressive representation so your legal rights will not be infringed upon. 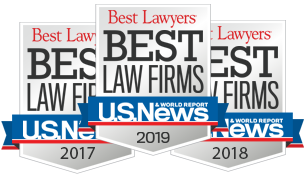 Our firm is AV-rated, the highest distinction possible for ethics and professionalism, and we have also achieved the SuperLawyers distinction for our excellence in the field of maritime law. When you work with a cruise ship injury lawyer from our firm, you can rest assured you will have a trusted legal professional on your side working diligently to ensure your case resolves with the best possible outcome. Contact our cruise injury law firm today for a free consultation and give us the opportunity to fight for your rights.